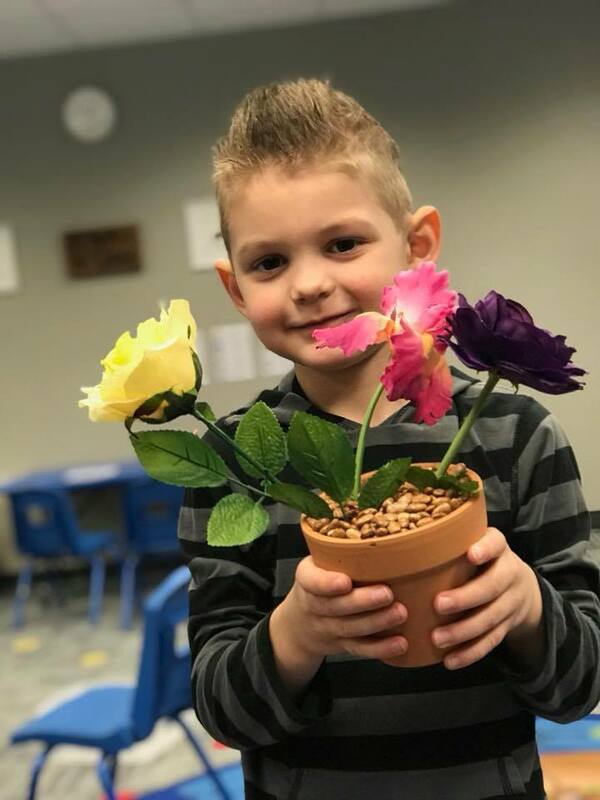 At StoneBridge Christian Preschool, we emphasize “Whole Child Development” which means that development in academics, writing, social skills, responsibility, and independence skills are all weighted equally. Because research shows that children at this age learn best through play and active hands-on learning, our highly qualified, State Certified Teachers and Assistants practice a play-based model of education and teach using all learning styles. We also subscribe to the belief that there is nothing more important than for your child to develop a relationship with Christ, so Bible study is part of curriculum and is creatively woven into their academic and social lessons daily. We pride ourselves on offering quality educational programming for kids 2-5 years. The brief descriptions below cover some of the key standards taught to each age group. *Children in the 3 year old, 4’s & 5’s, or High 5’s classes must be toilet trained before attending. WHERE IS STONEBRIDGE CHRISTIAN PRESCHOOL LOCATED? Corner of 156th St. and Butler Ave.
Shares a parking lot with The Amazing Pizza Machine, near 138th and Millard Ave.
Omaha Campus - Park in the east parking lot (lower level) near the big glass entryway. Enter through the doors under the StoneBridge sign and make your way straight through to the lobby for check-in or pick-up. Millard Campus - Parking is available on the South side of the building adjacent to the main enterance. Families can save 5% by paying the full tuition for the year in a one-time payment. do you offer tours of THE PRESCHOOL SPACE? Sure! To schedule, a tour for the Omaha campus, please contact Jackie Scebold at omapreschool@sb.church. To schedule, a tour for the Millard campus, please contact Jessica Hudson at milpreschool@sb.church. To schedule a tour for the Omaha campus, please contact Jackie Scebold at omapreschool@sb.church. To schedule a tour for the Millard campus, please contact Jessica Hudson at milpreschool@sb.church. Morning Classes are offered from 9:00-11:30am. The Afternoon Class (Omaha Only) is offered from 12:15-2:45pm. THE $60.00 NON-REFUNDABLE REGISTRATION/SCHOOL SUPPLY FEE PER STUDENT IS REQUIRED AT THE TIME OF REGISTRATION. ONLINE REGISTRATION IMMEDIATELY CONFIRMS A PLACE IN THE PRESCHOOL CLASS CONDITIONAL UPON THE SUBMISSION OF THE EMERGENCY AND MEDICAL INFORMATION FORM AND AN IMMUNIZATION RECORD NO LATER THAN THE FIRST DAY OF CLASS- SEPTEMBER 3, 2019. If the class is listed FULL, please email Jackie (Omaha) omapreschool@sb.church or Jessica (Millard) milpreschool@sb.church with the following information! $149/month | **CLASS IS FULL. Please contact Director for waitlist. $103/month | **CLASS IS FULL. Please contact Director for waitlist.